Find out what P&G's Marc Pritchard, Qualcomm's Liya Sharif, Burger King's Fernando Machado and others have to say. 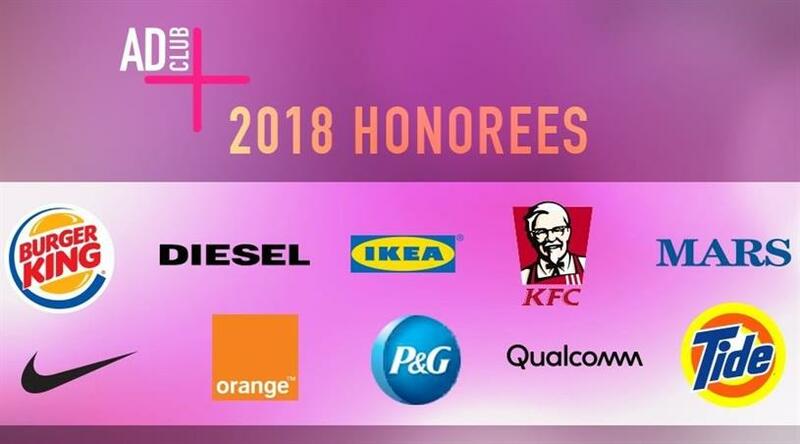 Last week, the Advertising Club of New York honored 10 marketers and agencies that have successfully partnered and taken risks together as part of the organization’s Brave Brands program. Burger King and Lola MullenLowe: "Scary Clown Night"
Diesel and Publicis: "Go with the Fake"
Ikea and Acne: "Ikea’s Response to Balenciaga"
KFC and Mother London: "FCK"
Mars Wrigley Confectionery and DDB Chicago: "Exclusive the Rainbow"
Nike and W+K: "Nike Breaking2"
Orange Telecom and FP7/CAI: "Now or Never"
Procter & Gamble and BBDO NY: "The Talk"
Qualcomm and McCann NY: "Ignore This – Beatbox & Bavarian Dance"
Tide and Saatchi & Saatchi NY: "It’s a Tide Ad"
During the event, the Ad Club interviewed some of the brand and agency leaders to find out their advice for the marketing world, what brave topics they believe the industry should focus on going forward and more. Watch below.